from Spain, Jabugo and Guijuelo. Lots There are 49 products. Lote ibérico de bellota con queso de oveja o cabra a elegir y opcionalmente lomo ibérico de bellota de Huelva. 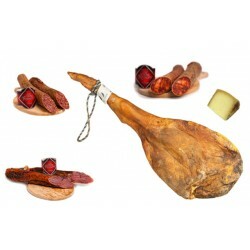 Delicatessen Lot of Iberian products feed fed, iberian acorn fed ham and pure cheese of sheep. Delicatessen Lot from Huelva with Iberian Shoulder and iberian sausage. 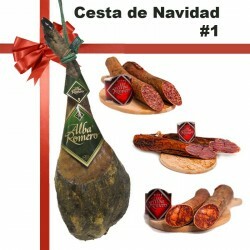 Gourmet Lot of Iberian Ham acorn fed sliced with hand and iberian acorn fed lomito. 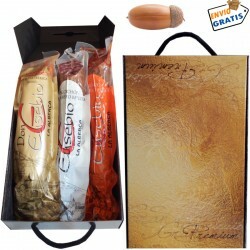 Gourmet Lot from Huelva in Spain Iberian acorn fed products and cheese.